A race this big deserves to be covered in two parts. 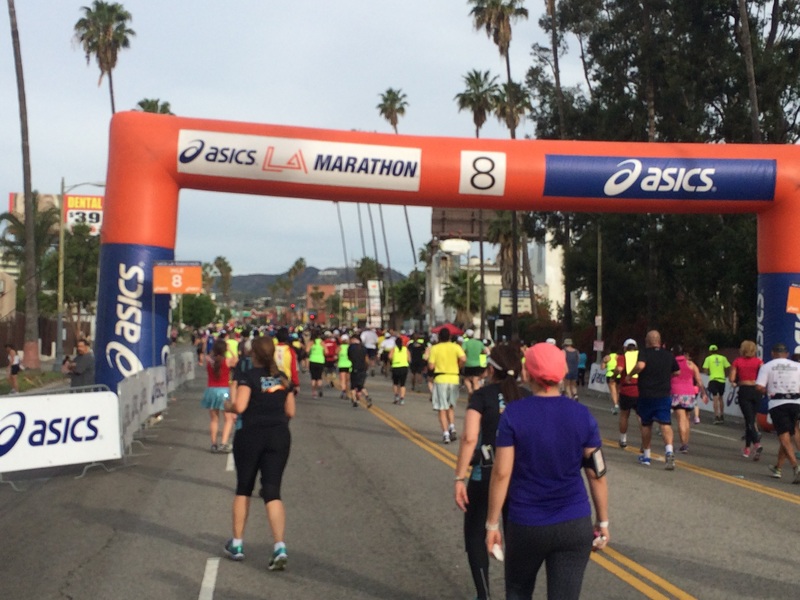 With record-breaking temperatures predicted, I made the decision to not pursue a new marathon PR. 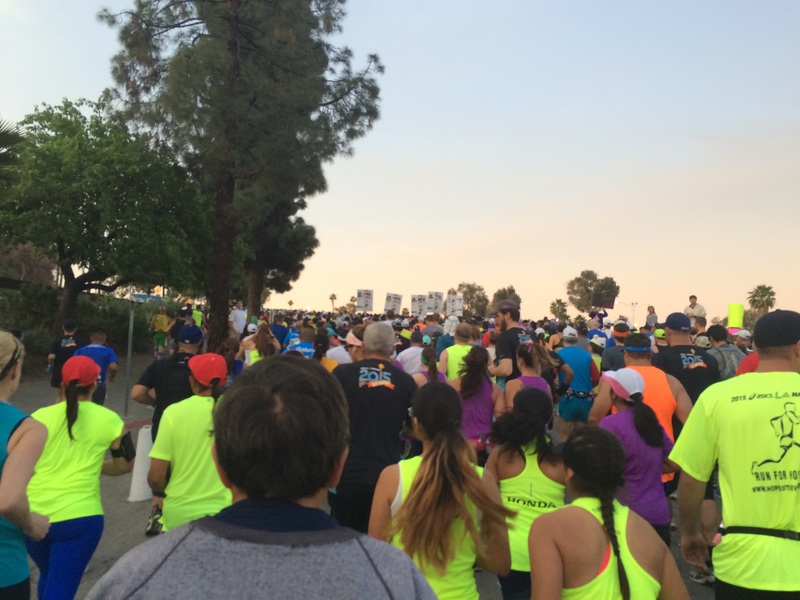 There were so many people involved with this race urging runners to take this race slow that I couldn’t ignore it. So, my plan for the race was to have as much fun as possible and take tons of pictures. Of course, I wasn’t going to just walk the entire thing either. I desperately wanted to finish the race before they closed off the main finish area. 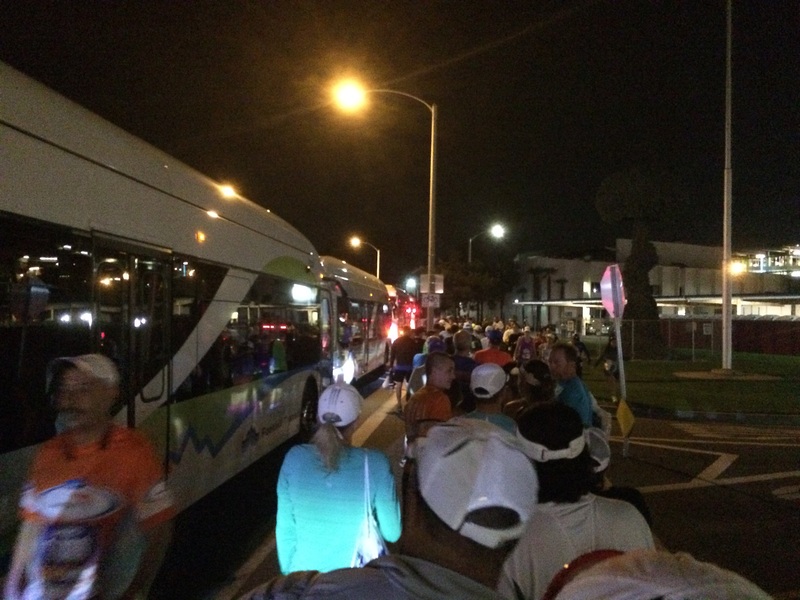 Unlike the Disney races, there were no sweeper vans out to pull runners off course if they didn’t keep to the pacing requirements. 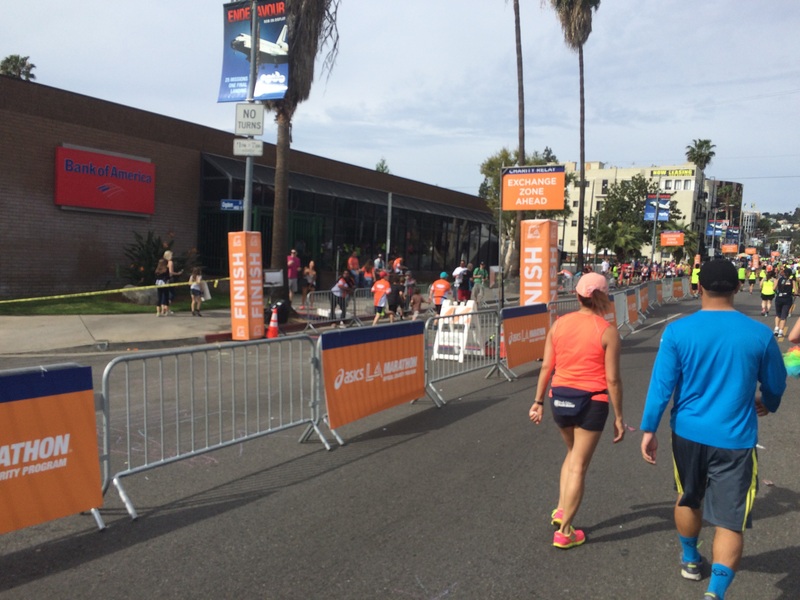 However, they would re-open the streets at certain points and if you were behind, you’d have to finish the race running on the sidewalks. There was a separate finish area for the latest of arrivals. 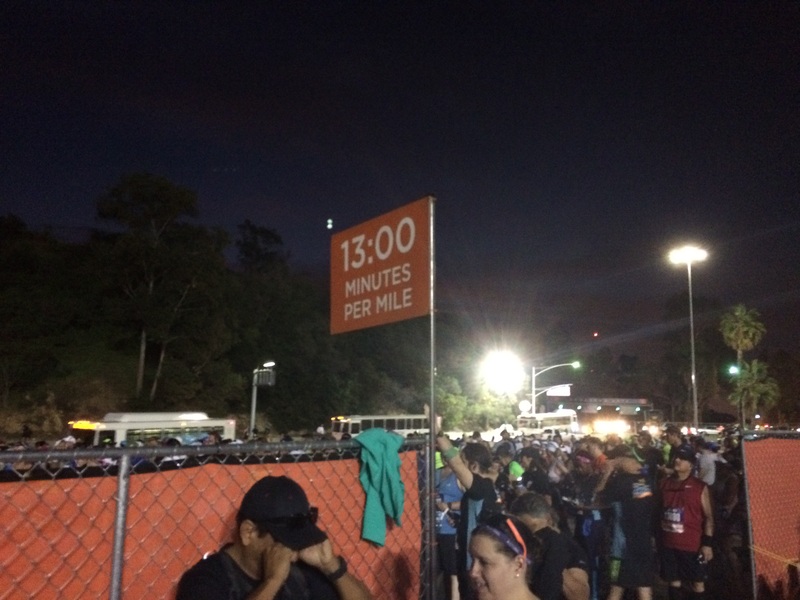 For me, race day began with waking up at 3am. 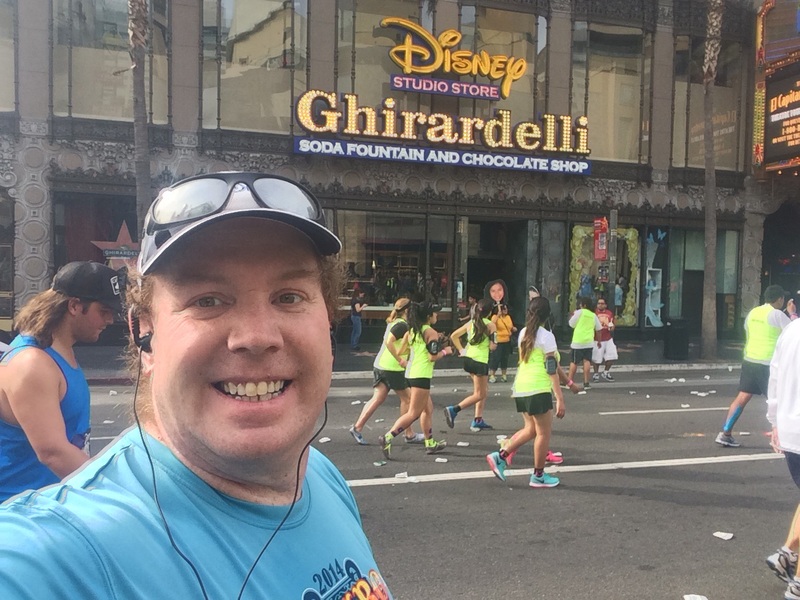 All those runDisney races had prepared me well! 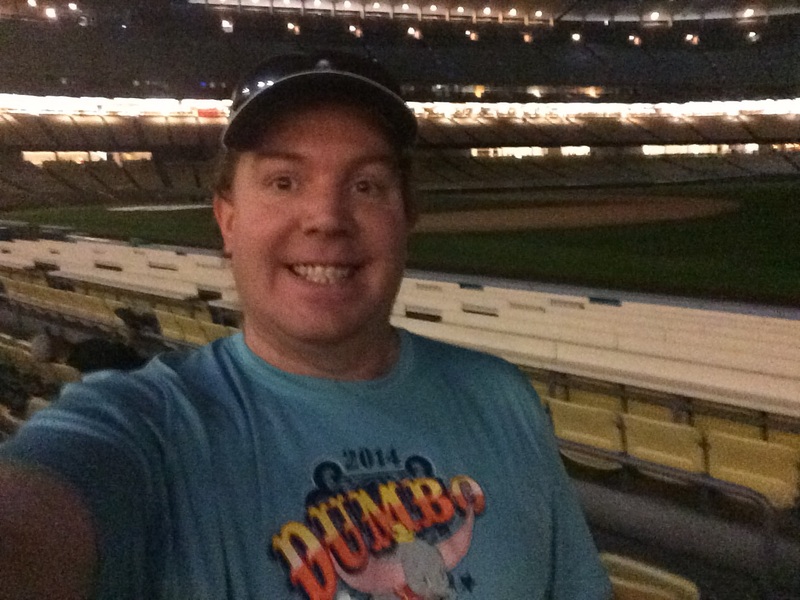 I was out the door around 3:30am to head off to Santa Monica. Originally, I was scheduled to be on a bus at 5:30am. 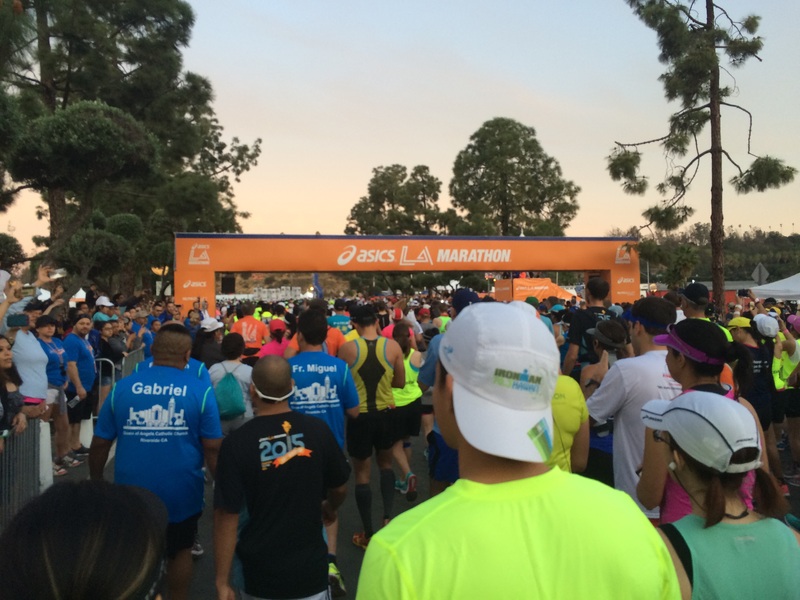 However, race organizers were able to move the start time up a half hour to accommodate the predicted hot temperatures. So, the 5:30am bus would not work well. 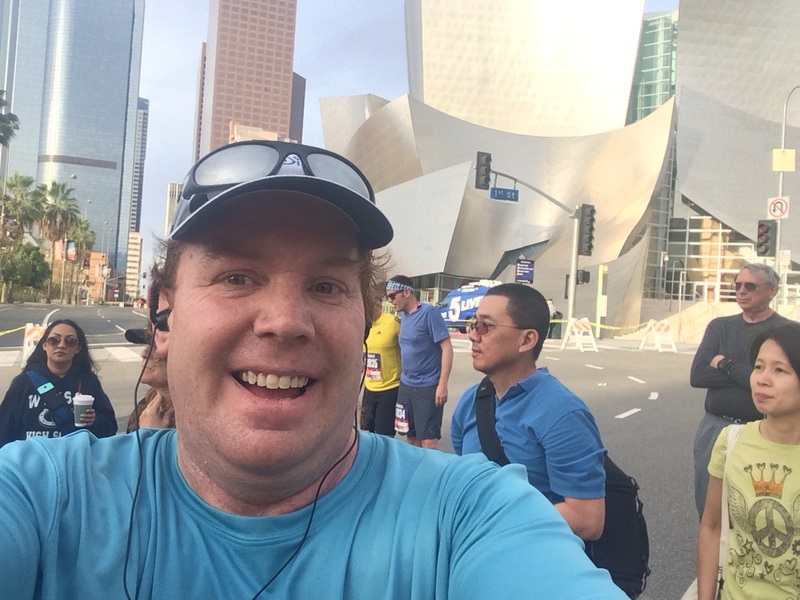 I emailed someone with the LA Marathon organization and was told that I could show up whenever and catch an earlier bus. When I arrived, I had fun with parking. 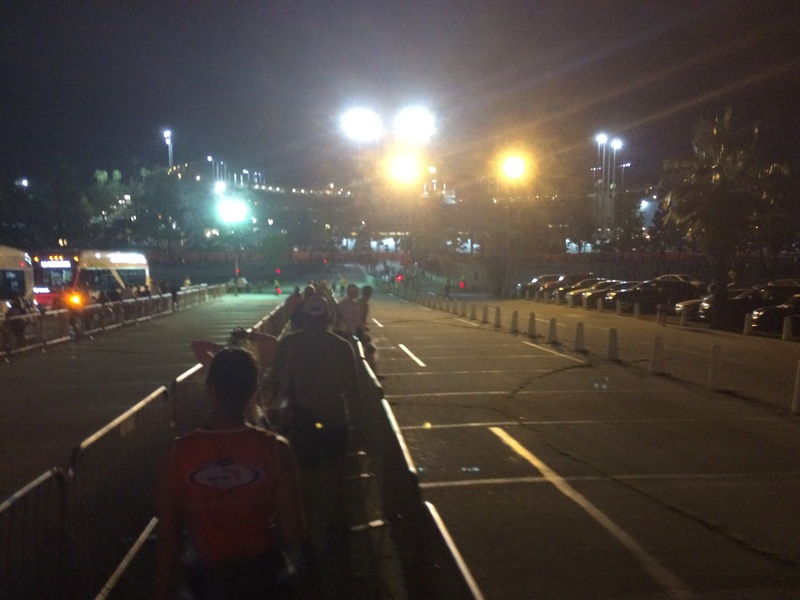 During race week, I purchased a parking pass for a parking lot down Ocean Blvd. When I got off the freeway, there was a lot of traffic turning left. I thought I’d be smart and go a different way. Not a good decision. Ocean Blvd. was blocked and I ended up parking in the same structure that I park in for my Santa Monica long runs. Once parked, I headed off to the buses. The line to get on the bus was super long. However, everything ran efficiently. 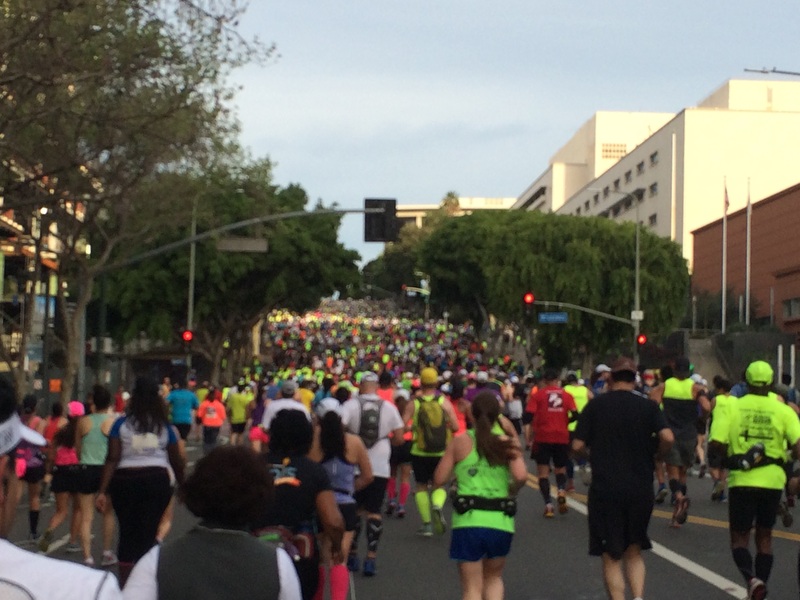 Almost all of the buses said “LA Marathon” on the side. 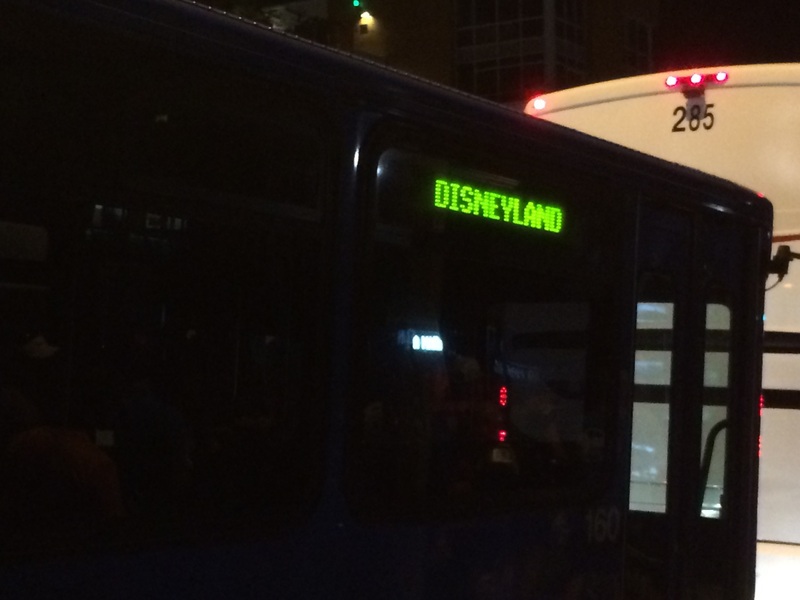 This bus said “Disneyland.” I had to grab a picture as I thought that might be a better option. However, I continued moving forward. 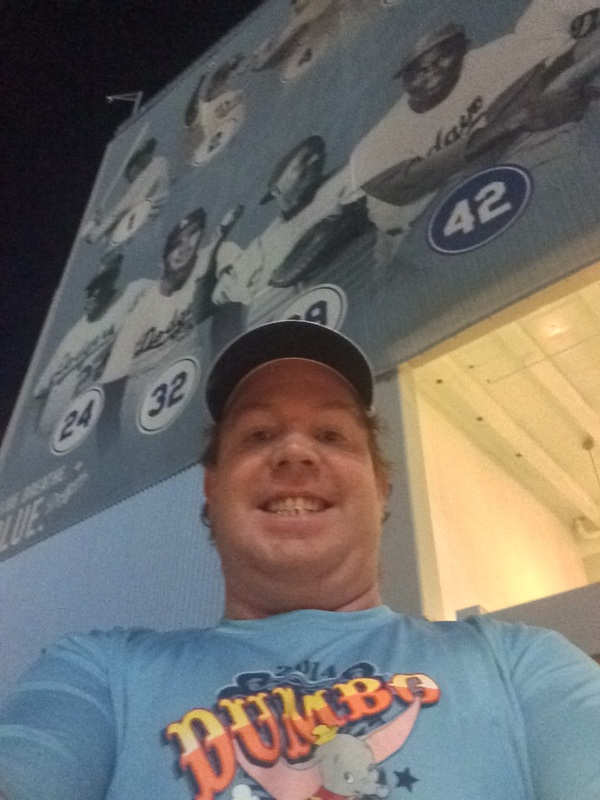 It didn’t take long at all to get on board and we were off to Dodgers Stadium. 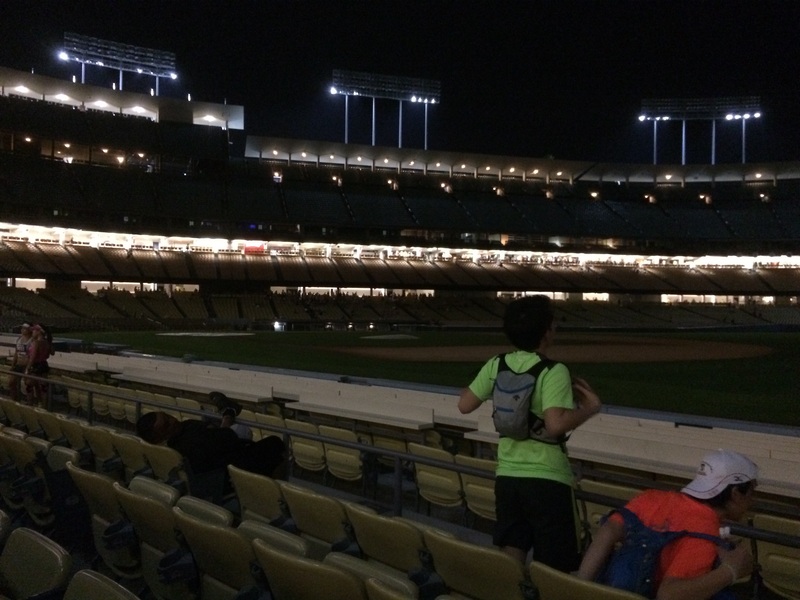 When we arrived, I noticed that the lights were on inside the stadium! Since I knew we’d get to use real restrooms, I made my way towards the stadium. 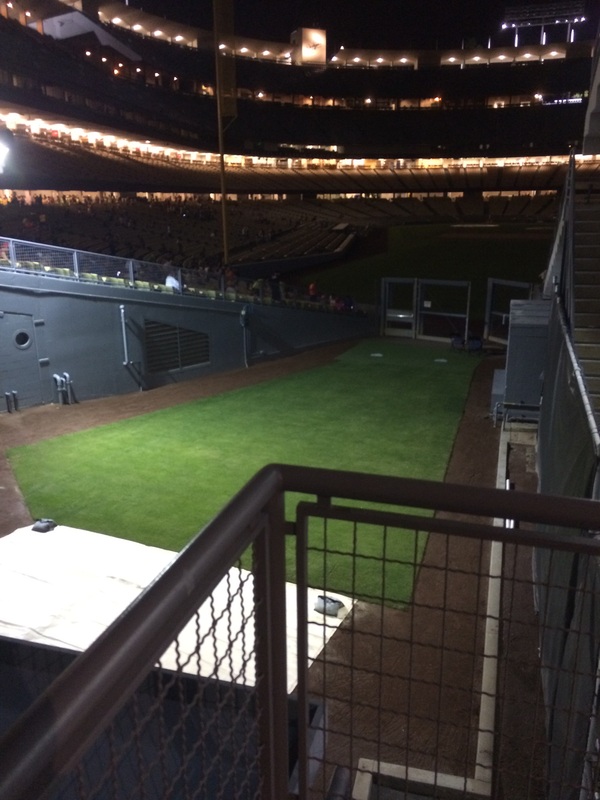 After using the restroom, I waited inside the stadium. These seats would cost a lot of money if I were there for a Dodgers game! As you can see, not all the lights were on. One thing I loved is that we could sit on real seats while we waited. It was so much better than waiting on the ground! As the time for the start got closer, I walked around to get some pics inside the stadium. I’m not sure who got to eat in this restaurant, but it was much more crowded when I arrived. 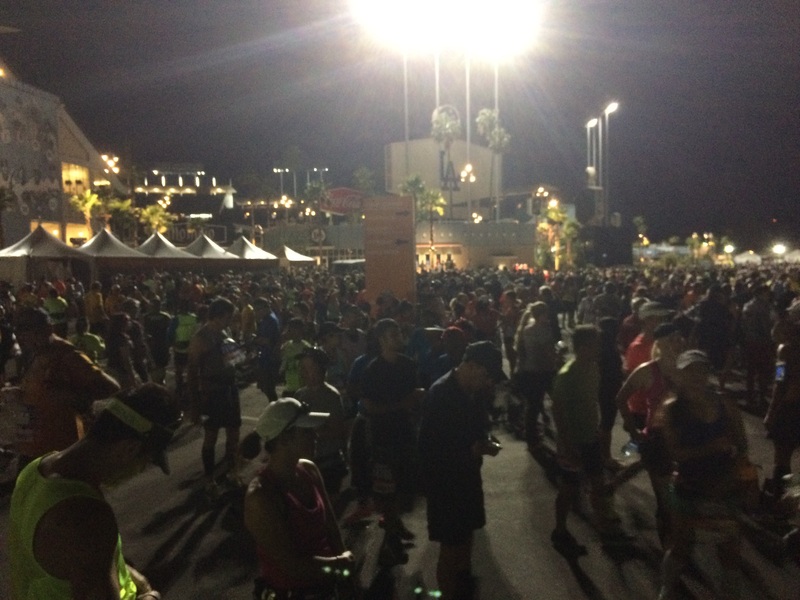 Time to head off for the corrals. 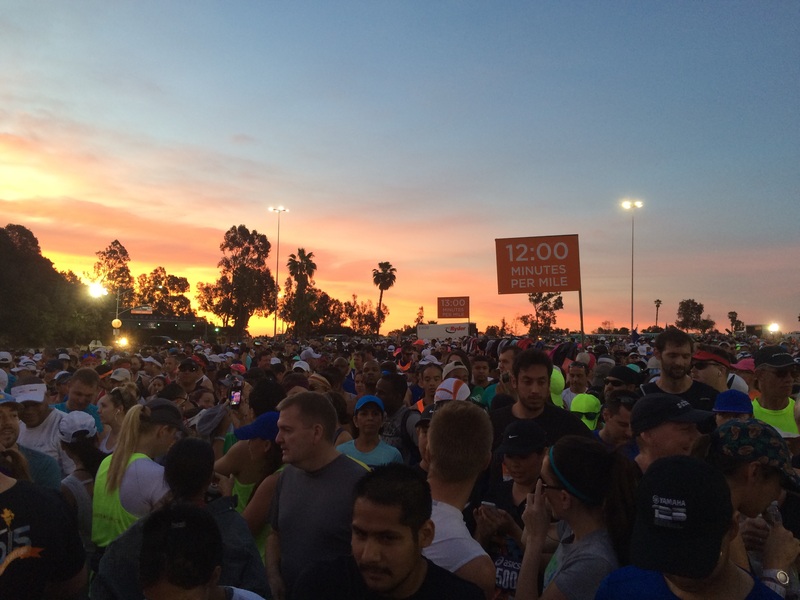 As you can see, 26,000 runners created a pretty crazy scene! I was in the Open Corral. In this area, there were pacing signs out. Even though I wasn’t running for a spectacular time, the 13 minute per mile area sounded good to me. So, I hopped in and waited for my turn to go. We were treated to a pretty spectacular sunrise while we waited. As you can see, I had moved up a little bit. Before I knew it, I was at the starting line! 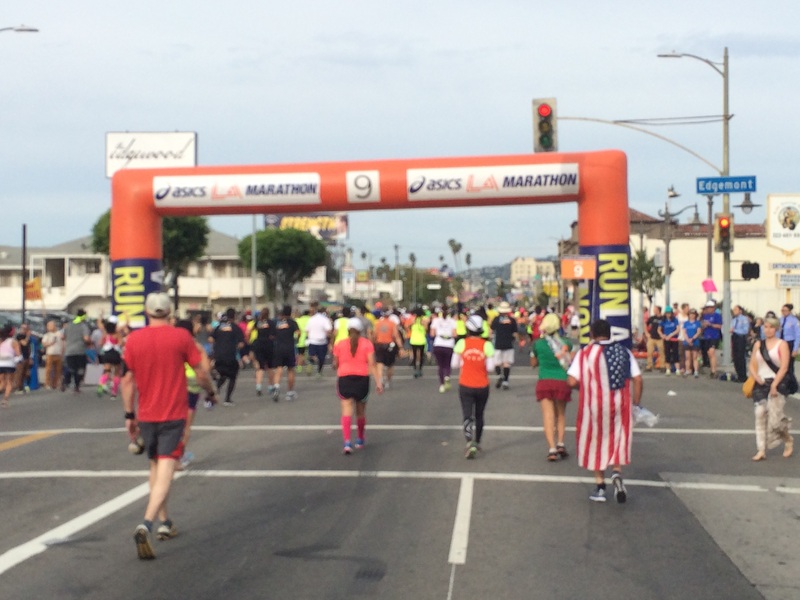 26.2 miles to go! Away we went! The course is the Stadium to the Sea. We were at the stadium. There is no stopping now. 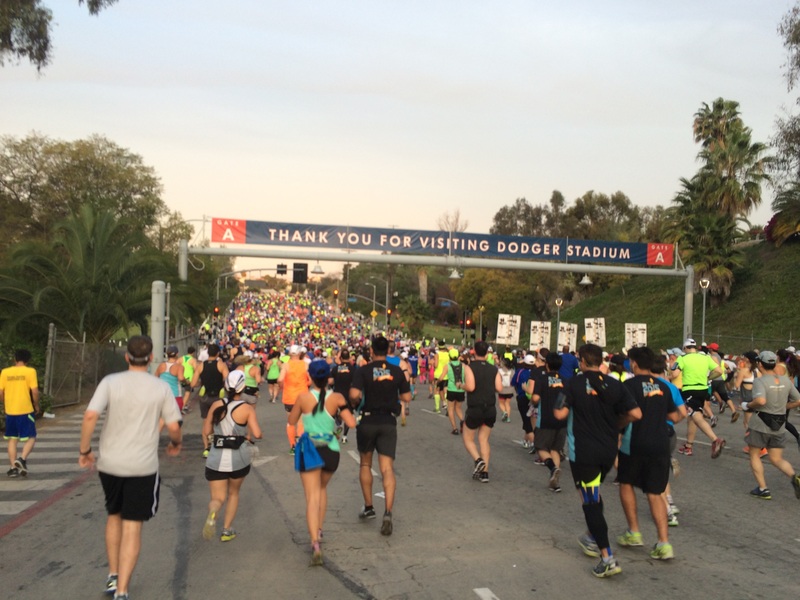 Thank you Dodgers Stadium for hosting us at the start, but I have a long ways to go. 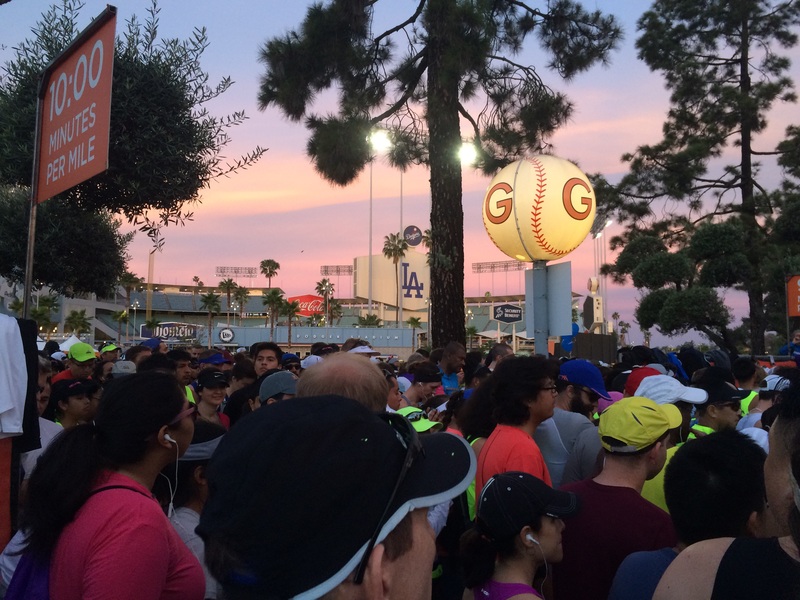 Because it was so bunched at the start, I did a lot of walking to get out of the stadium. 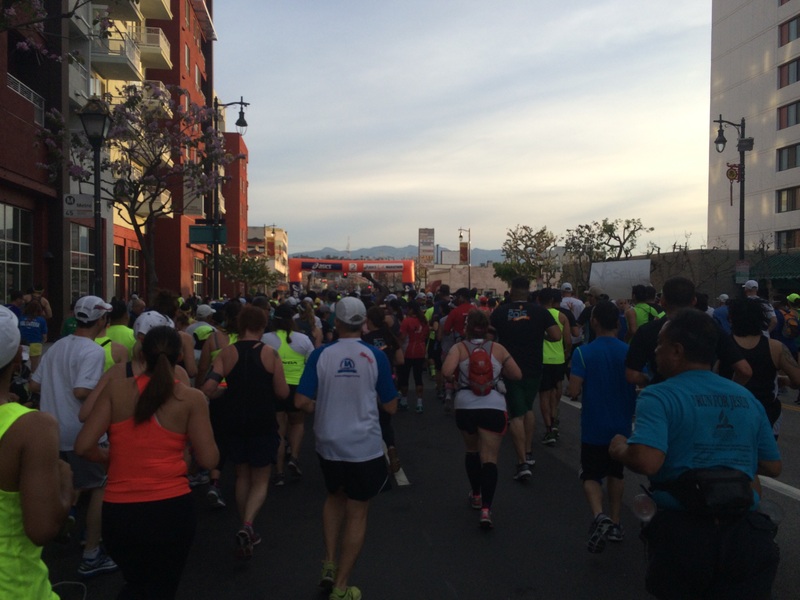 Once we got beyond the stadium, it was downhill all the way to Chinatown. So, I began my run/walk intervals as planned. 30 seconds run/1 minute walk. At the Expo, Bart Yasso suggested leaving the watch at home. However, I needed something to help me know when to walk and when to run. So, I decided to keep the distance covered off my watch to begin the race. I have no idea how long it took me to get the first mile done because I did not see a one mile marker. Right about the time I started wondering when I’d see the 2 mile marker, it came up. 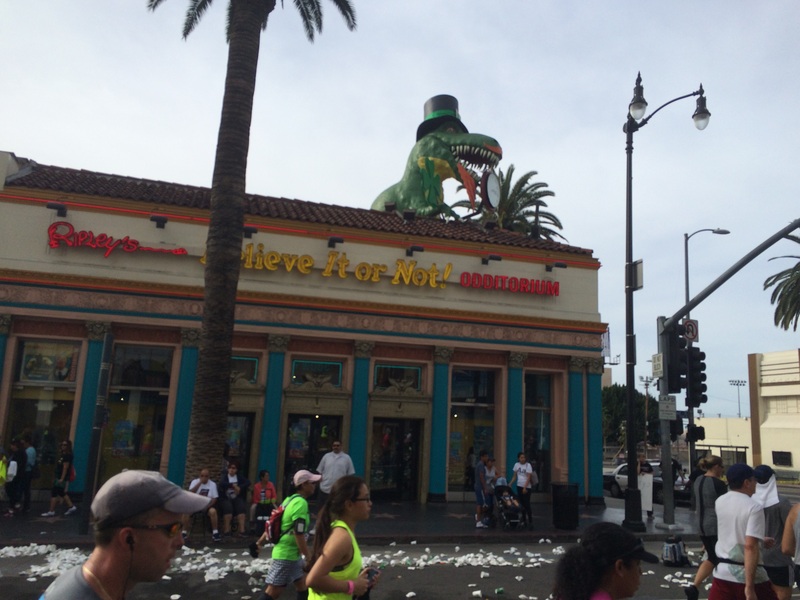 Running through Chinatown was pretty fun. It was largely flat or downhill. So, not too challenging. The street performers were so much fun to see! 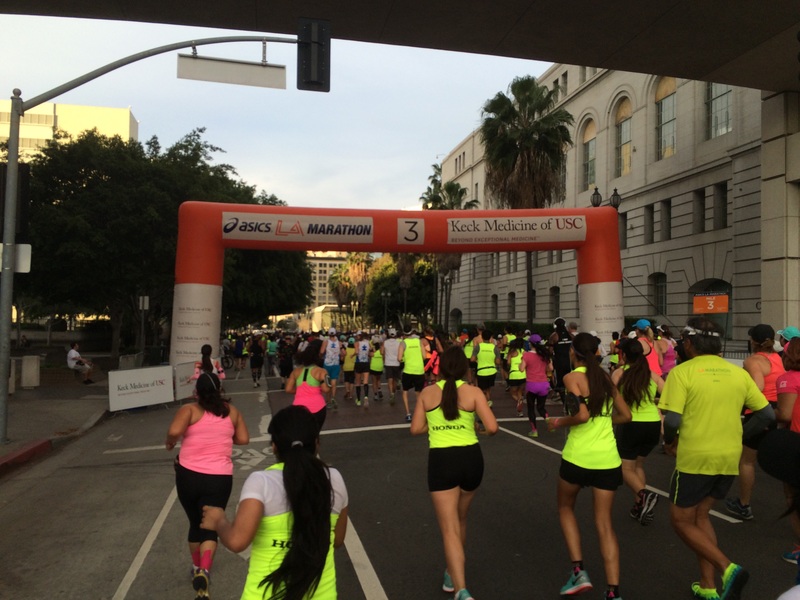 The end of mile three brought us into downtown LA! I knew that somewhere in the next mile, I’d hit the biggest climb of the entire race. Before arriving at this point, I decided to walk up the hills on the route. The first little climb is where I actually made this decision. After all, I wasn’t running for time, but for fun. Bart Yasso talked of saving something for the end of the race. Here we are at the base of the hill. I’m sorry that the picture is a little blurry. I was trying to capture the pictures on my walk breaks. So, some of them didn’t turn out so great. 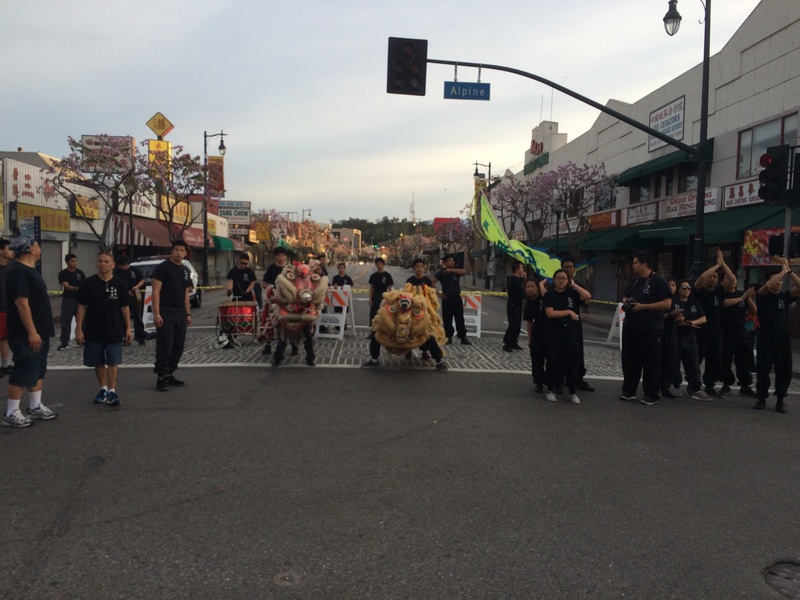 I had heard about these Korean drummers who played on 1st street to help the runners up the hill. So, I had to capture some of that on video for y’all. I tell you…the things I do for you the readers of my blog. I stopped my playlist once I got close to the top just take it all in. These drummers were awesome! Just past the LA Music Center was the Cathedral of Our Lady of Angels. What goes up mush eventually go down on a race course with an overall decrease in elevation. So, just past the Cathedral, we turned and went down hill. I felt pretty good going through this section. I think that, in hindsight, if I had tried running up 1st Street’s hill, this is the place where I would have found relief. 5 miles down, 21.2 miles to go! It was such a nice day out at this point. I had fun with my run/walk intervals. Everything felt fine. My time was a little slower than I would have liked. However, I kept reminding myself of the heat to come and my strategy. I was taking on water at every other fuel stop and Gatorade at the others. I took on my Cliff Shot Bloks every 30 minutes and it was all working out pretty good! Shortly after passing the 5 mile marker, we passed Boylston Street. As we passed, I thought that this street name is one that the Boston Marathon runs down. Of course, that’s in Boston, not Los Angeles. However, I thought it was kind of cool that both races have a Boylston Street associated with them. So, I snapped a quick picture. Then we came to one of my favorite parts of the race course…Echo Lake. Isn’t it pretty? 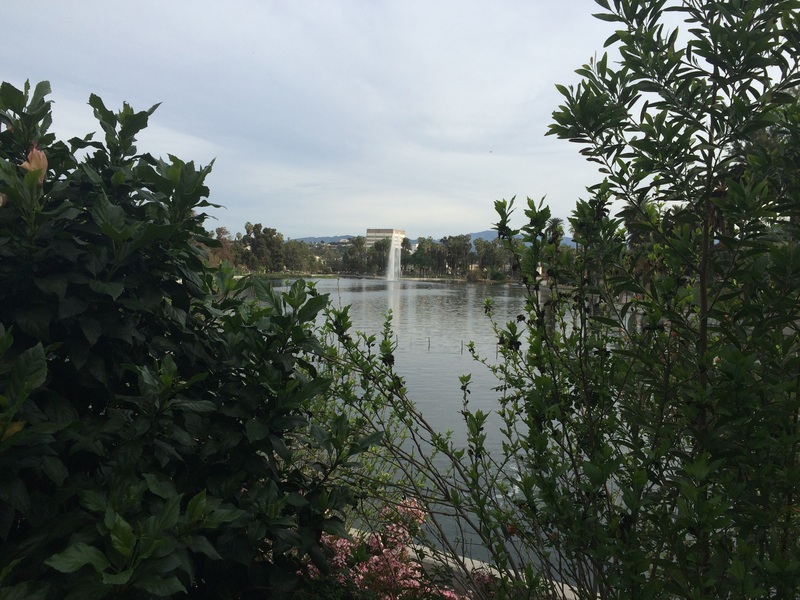 I don’t know why, but it felt so peaceful running by Echo Lake. I did have to miss a run interval to take this picture, though. Otherwise, I continued on with the run/walk intervals as planned. This is the best picture I could get with the fountain in the background. I did take a few more pictures here. However, this is the best shot I got of the bunch. Also, by the end of Echo Lake we crossed the 6 mile marker! Only 20.2 miles to go! My 10K time was pretty slow for me. However, I was still having fun. 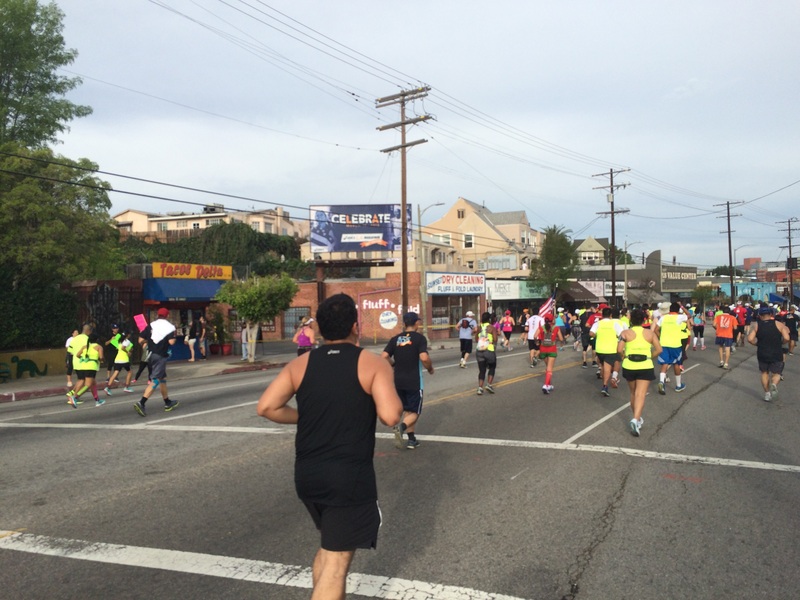 This is the kind of tour of Los Angeles that you simply can’t get in a car! Shortly passed Echo Lake, I came up to some of my favorite signs on the course. 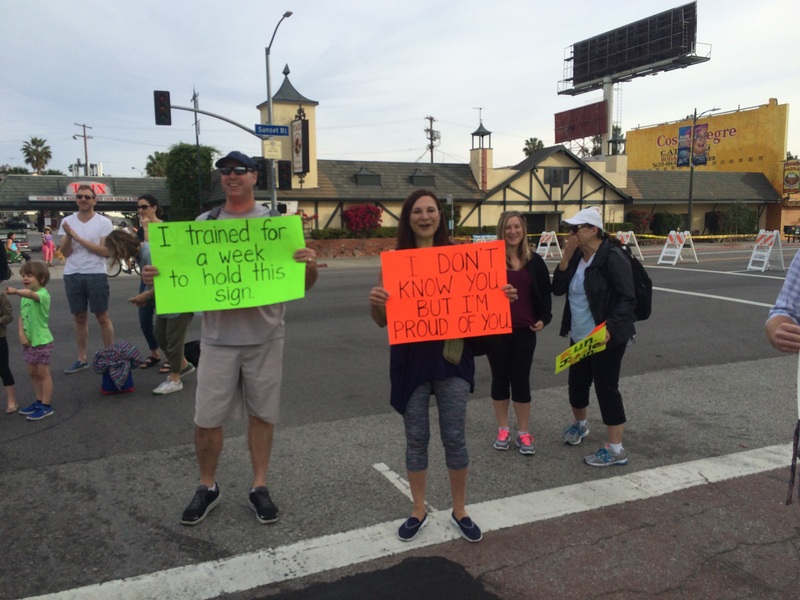 The “I Don’t Know You But I’m Proud of You” sign reminded me of a runDisney supporter named Peggy Sue who held a similar sign at all the runDisney races. 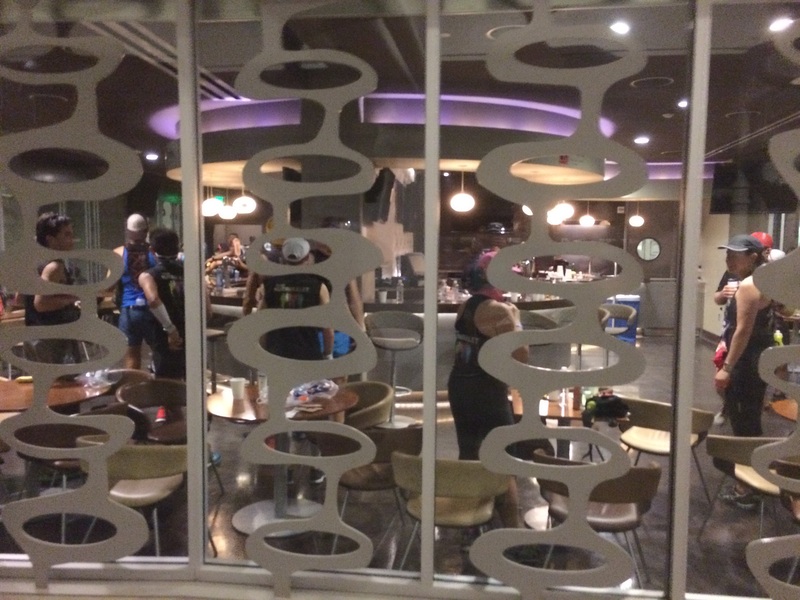 I had to post this picture to the Team #runDisney Facebook group shortly after. One person commented on the other sign in this picture. It was a pretty funny sign! 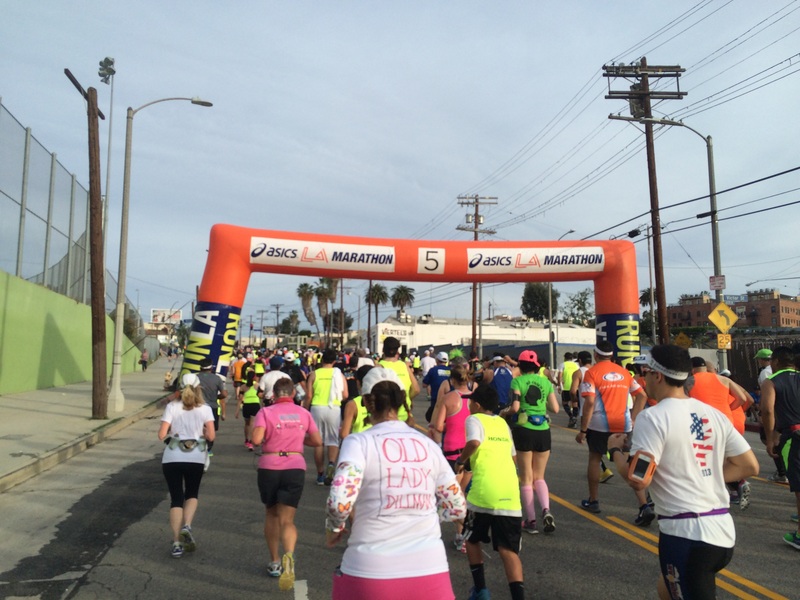 By the end of the 7th mile were making our way towards Hollywood…the next stop I was looking forward to. 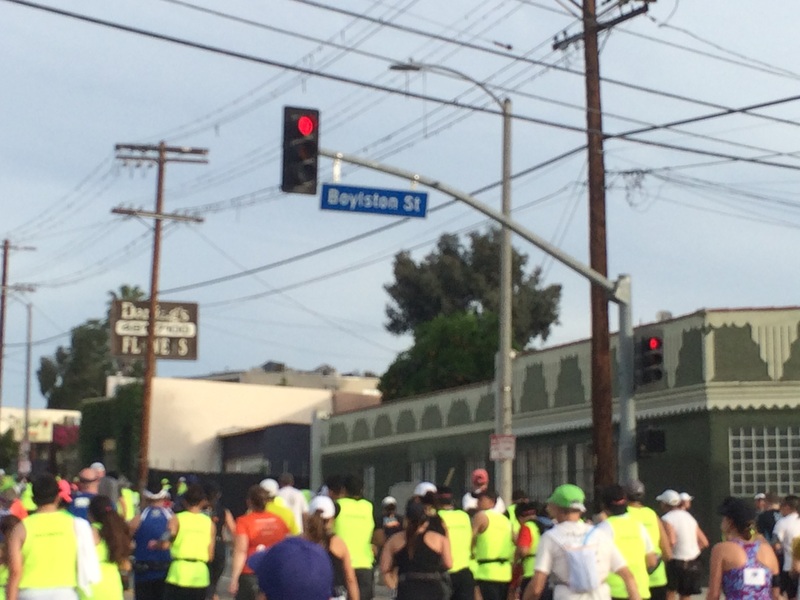 In the 8th mile, I saw the “Celebrate” sign for the LA Marathon. 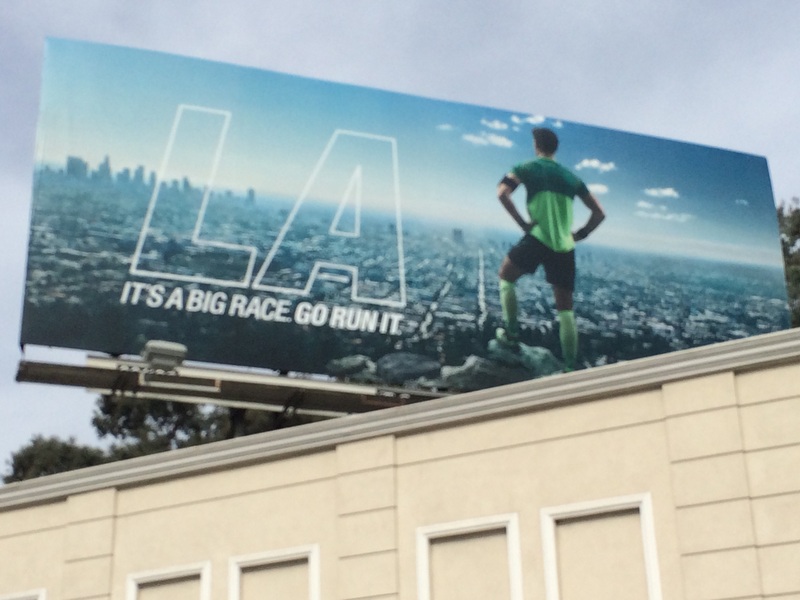 There were several billboards with the images put out by the folks from the LA Marathon. I saw these signs as motivators to keep going. I loved the reminders! 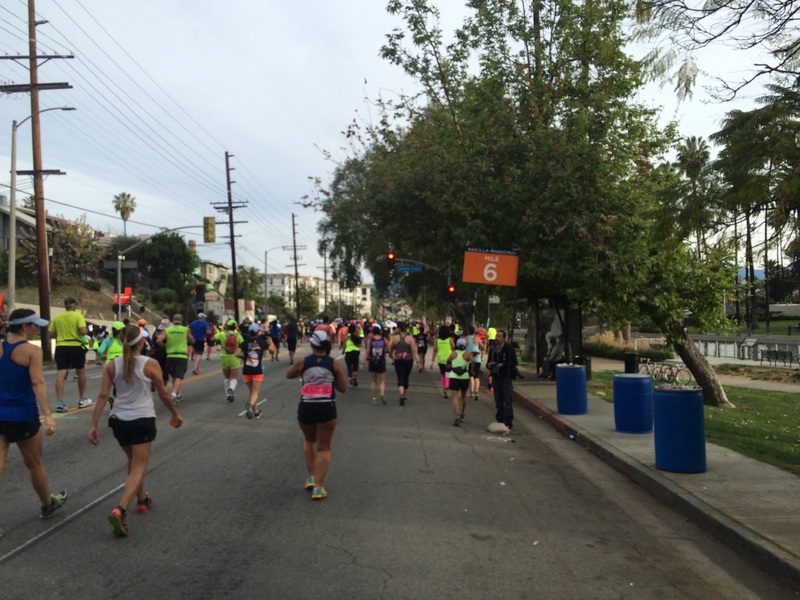 As we approached the end of the 8th mile, you could see the Hollywood Sign in the background. 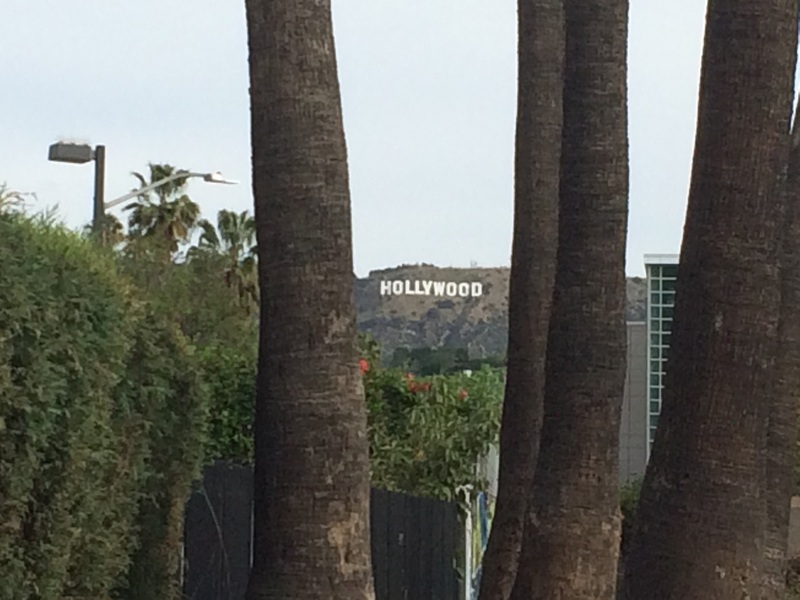 I spent the entire next mile plus trying to get a good picture of the Hollywood Sign. To be honest, the sign was way more visible than it appears in this picture. Trying to get a good picture of a landmark that’s visible for miles makes a mile go by really quickly. I may have run a bit more in this mile as I kept thinking I’d get to a good clearing for a good picture. Since I didn’t want to break my run/walk intervals, I tried to make sure I was on a walk break wherever it looked like I might get a good picture of the Hollywood Sign. Nothing. In addition to the Hollywood Sign, I could see the Griffith Park Observatory for miles. So, miles 9 and 10 were all about getting a good picture. Here’s the best shot I got of the Griffith Park Observatory. There were a lot of bands along the course. 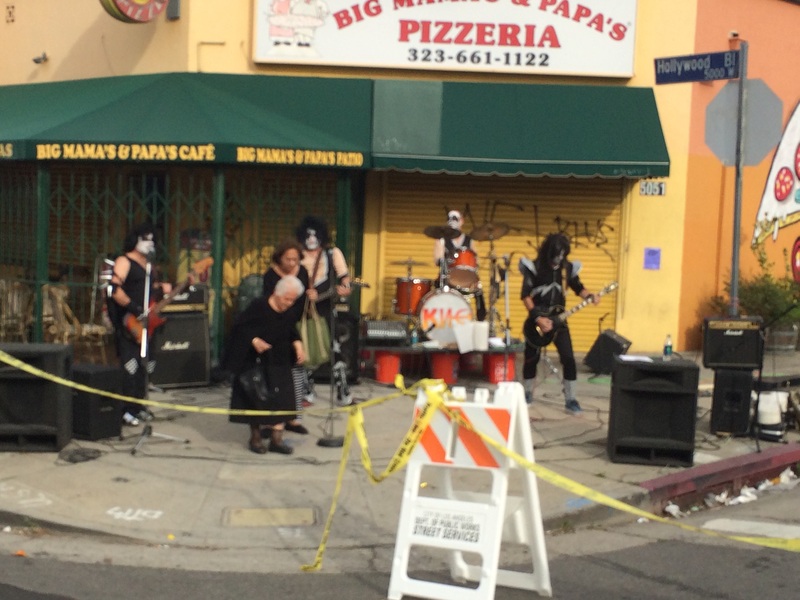 I thought this band which appeared to be some sort of Kiss cover band was interesting. Also, the old lady trying to cross the street in front of them made the picture even more fun! Then, it finally came! This is the best picture I could get of the Hollywood Sign! Mission accomplished! As I look back on the experience, this pursuit really helped a couple of miles fly by! Then, we were into the heart of Hollywood! 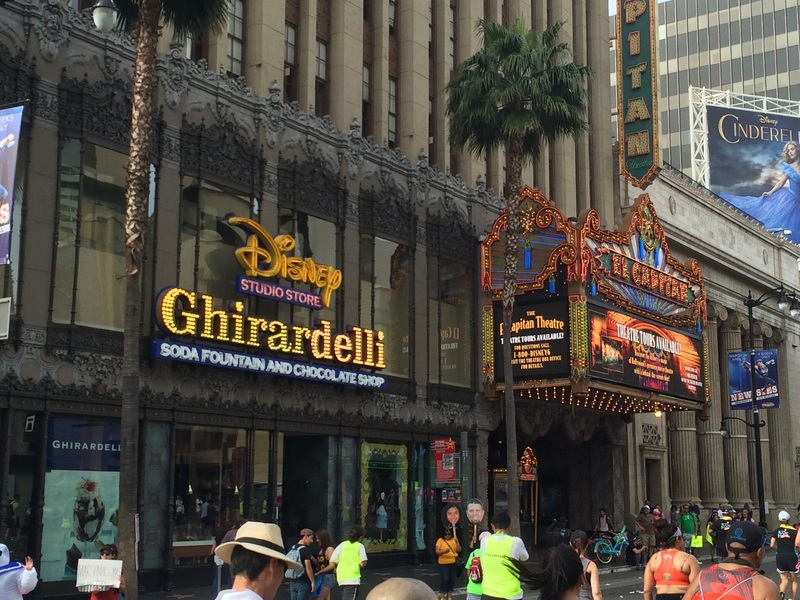 The first fun landmark was passing the Pantages Theatre. I’ve seen several Broadway shows here…including Wicked! 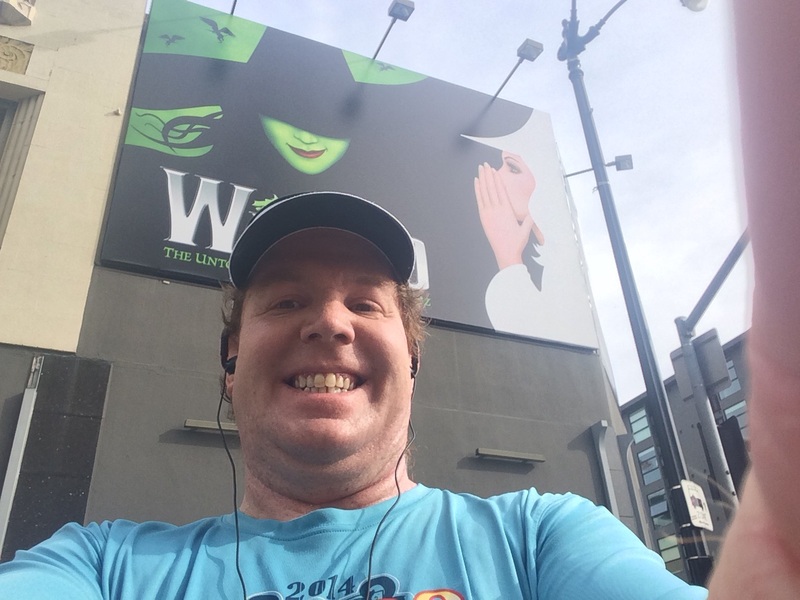 The sign gave me a great idea for an Instagram post…I’m running wicked slow, but having so much fun at the LA Marathon! This is what happens when the focus of a marathon is on having fun vs. focusing on your finish time. 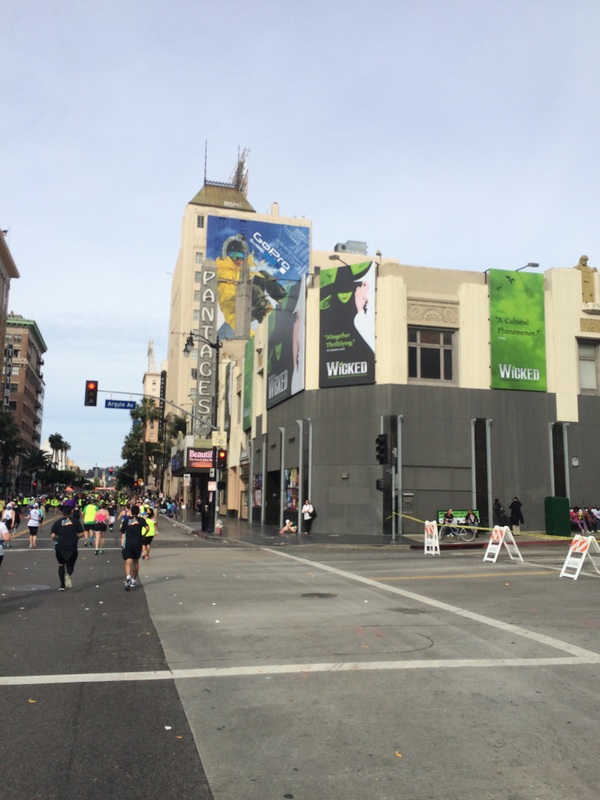 Just past the Pantages was a water station. 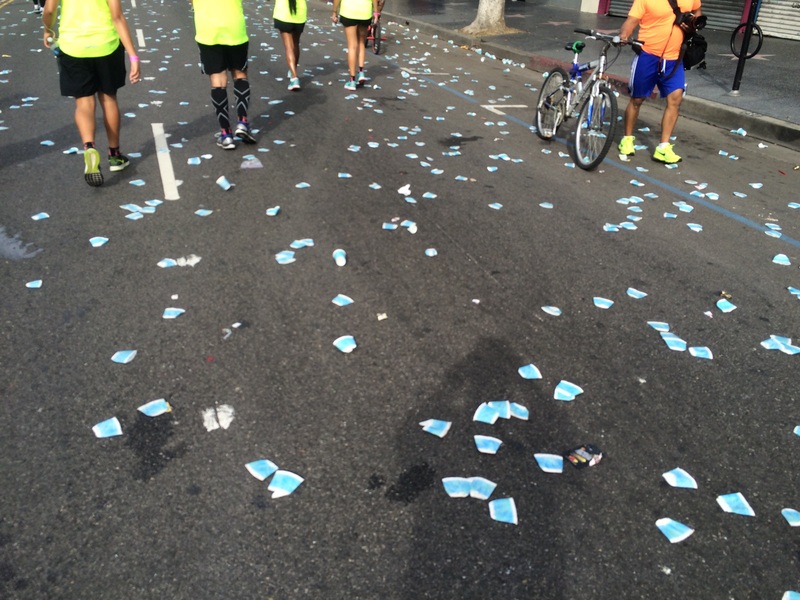 I thought I’d get at least one picture of all the water cups us runners leave behind. 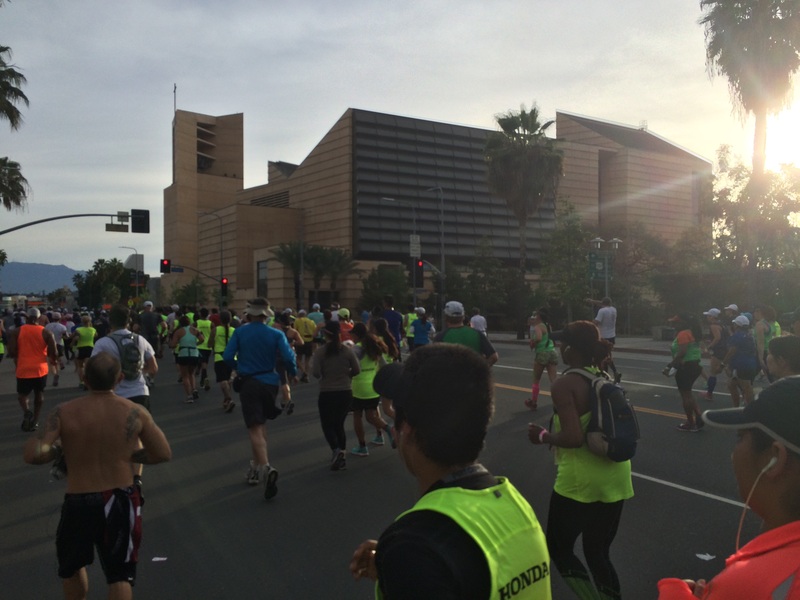 When you’ve got a race of 26,000 runners, it can be a mess on the roads at times. 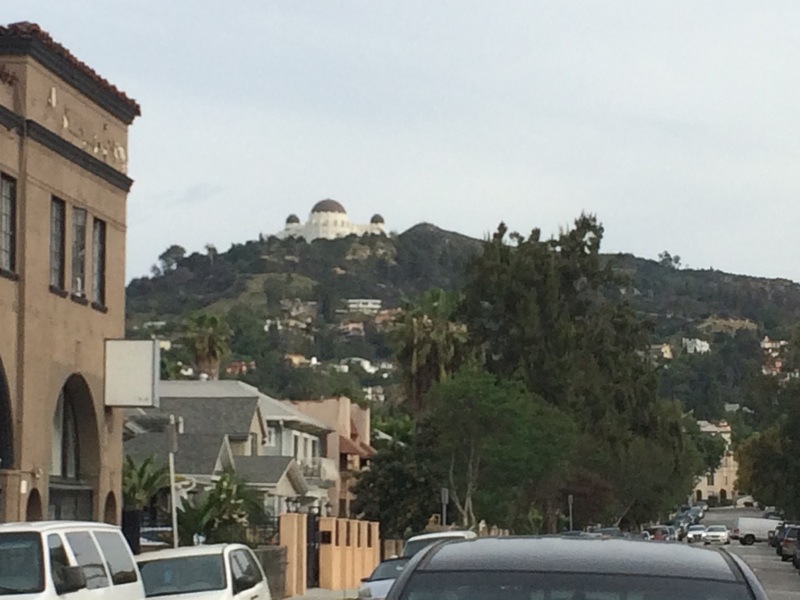 Then, we passed by the church that my parents met each other at…Hollywood Presbyterian Church. 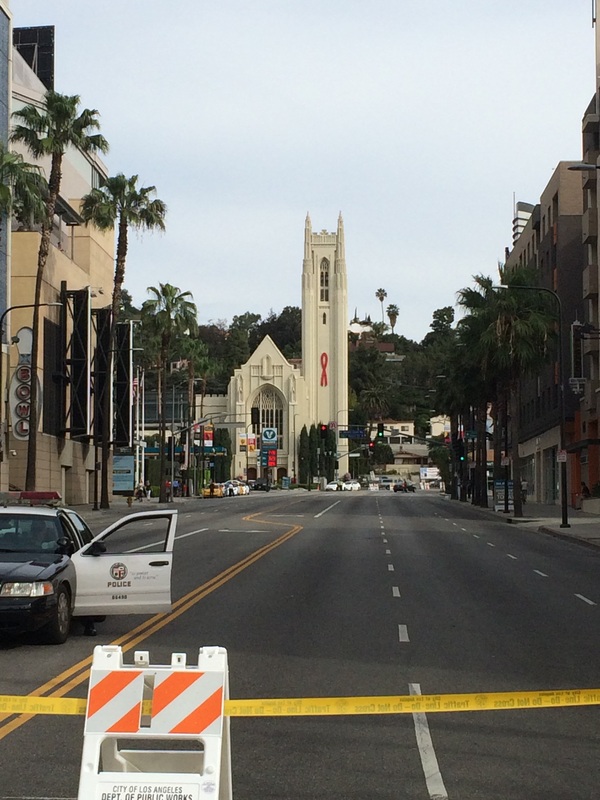 One tourist sight we didn’t get to see is what was just up the street from this church…the Magic Castle. Up next??? 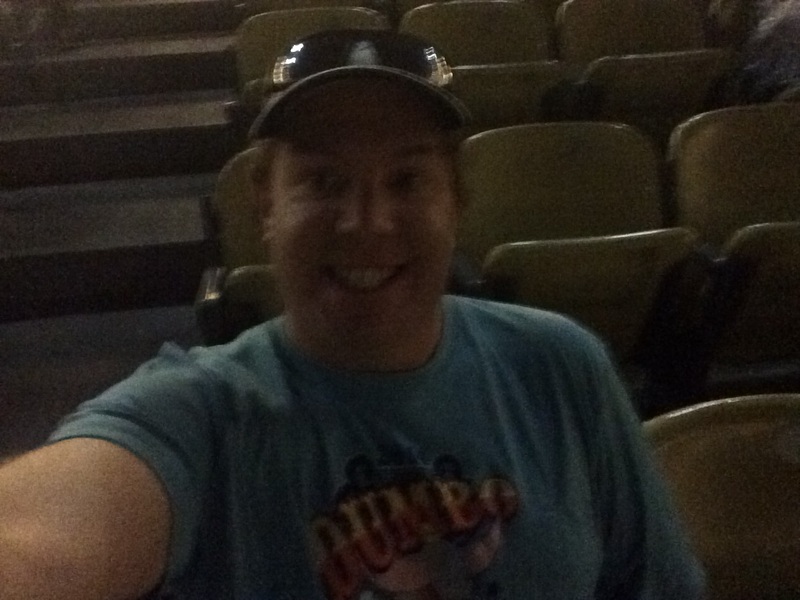 The El Capitan Theater. This is the theater that hosts a lot of the Disney movie premieres. The Ghiradelli Soda Fountain and Chocolate Shop? I’ve got to admit that it was tempting to stop for some real food here. They have great ice cream desserts! I had to continue on, though. 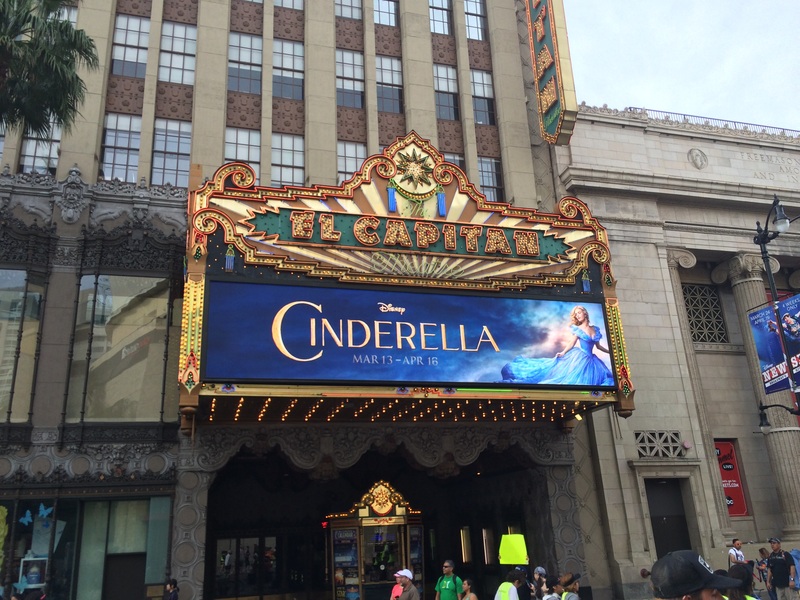 Cinderella is playing at the El Capitan currently. 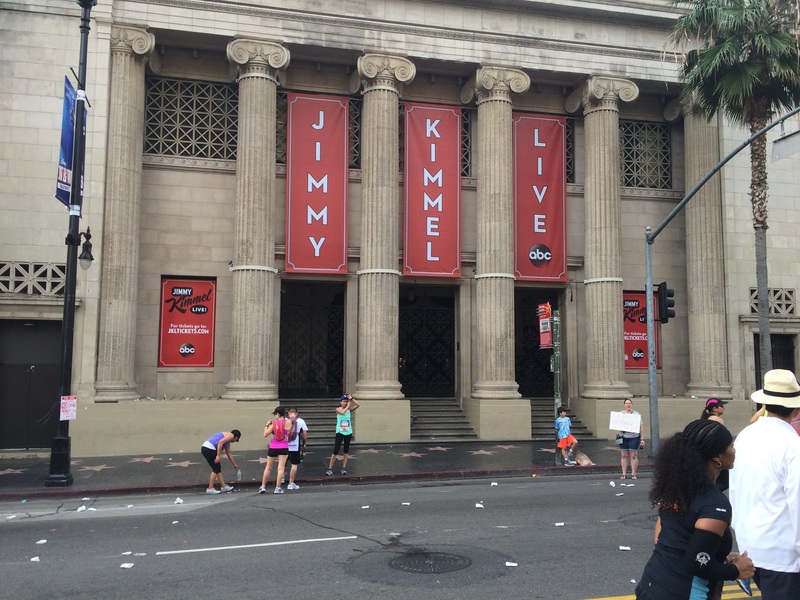 Right next to the El Capitan is where they film Jimmy Kimmel. 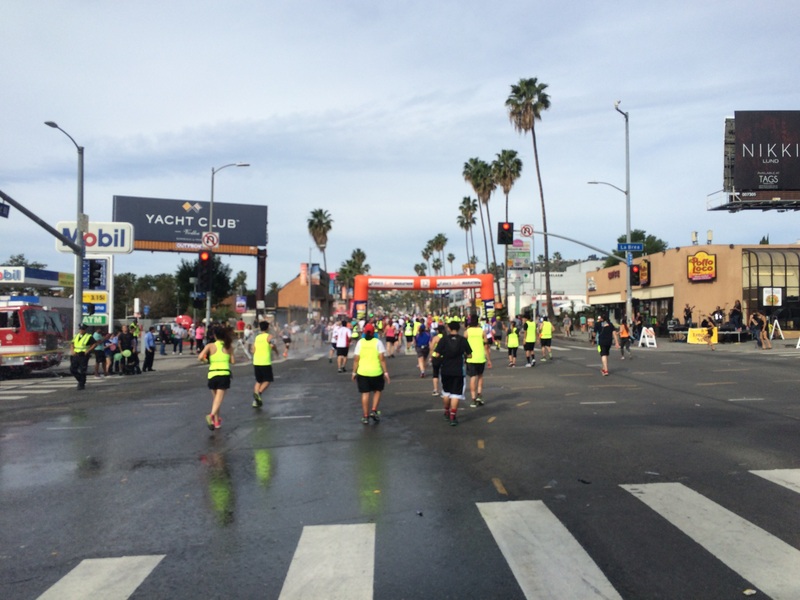 I had been told he’s gone out on the LA Marathon course before. No such luck for me. Oh well. Look! 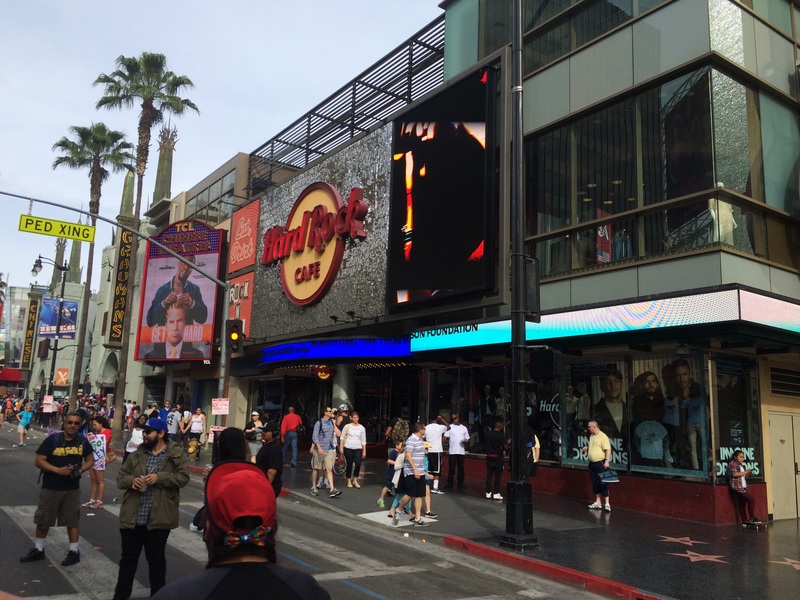 The Hard Rock Cafe Hollywood! Do you see the stars on the sidewalk? This is part of the Hollywood Walk of Fame. 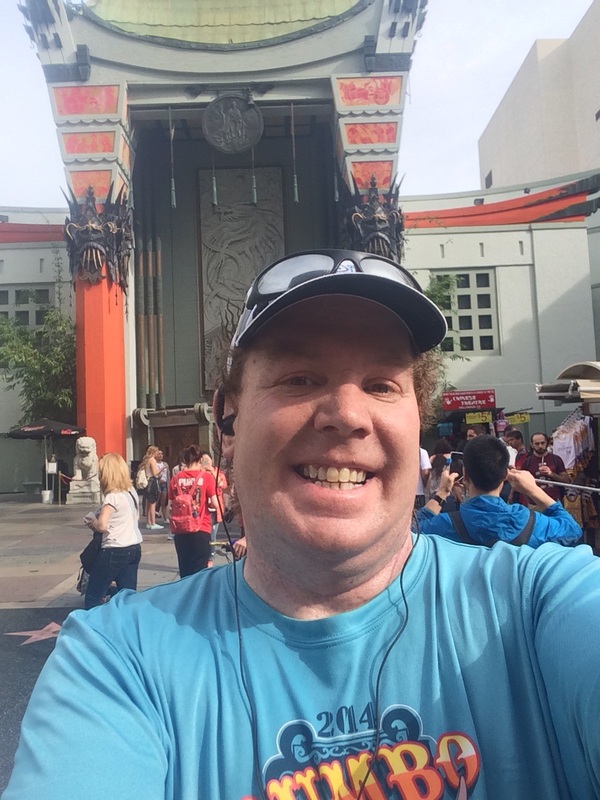 We ran down Hollywood Blvd. all the way to the Chinese Theatre. There have been too many movie premieres here to name. 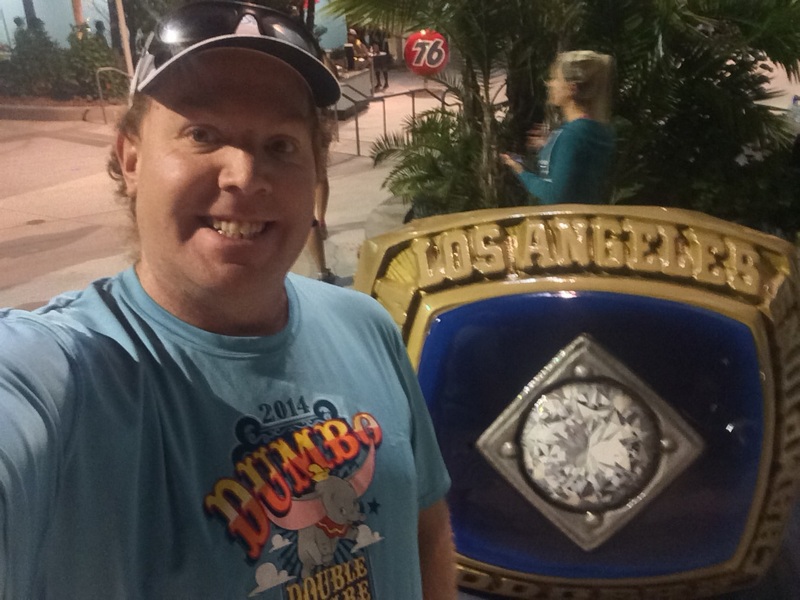 If you’ve been to Disney’s Hollywood Studios, you might think I’m in front of the Great Movie Ride. This is the real deal…not the Great Movie Ride. As we turned towards Sunset, I saw Gail Andersen from the KTLA Morning News. I’ve been watching her on the morning news for years. So, it was awesome to meet her during the race. 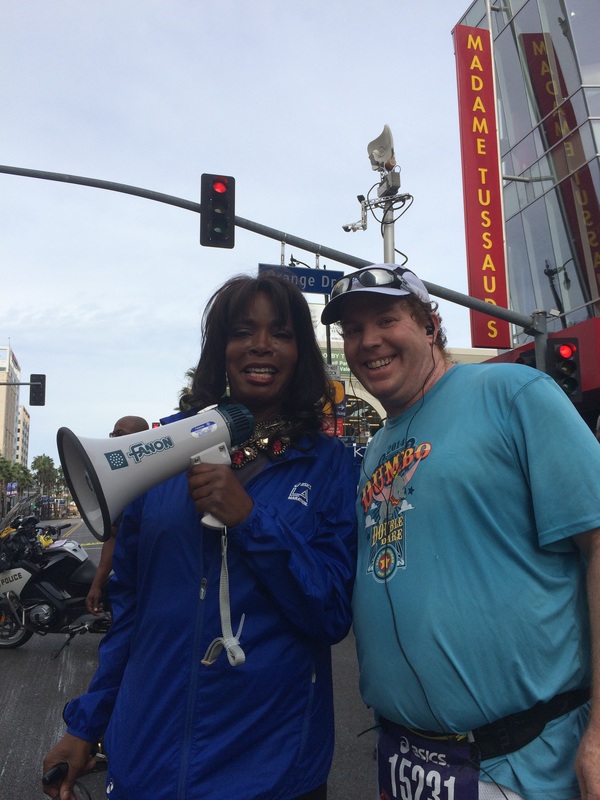 Gail was more than gracious and totally supporting the runners along the way. Right before Sunset Blvd. we came to Hollywood High School. 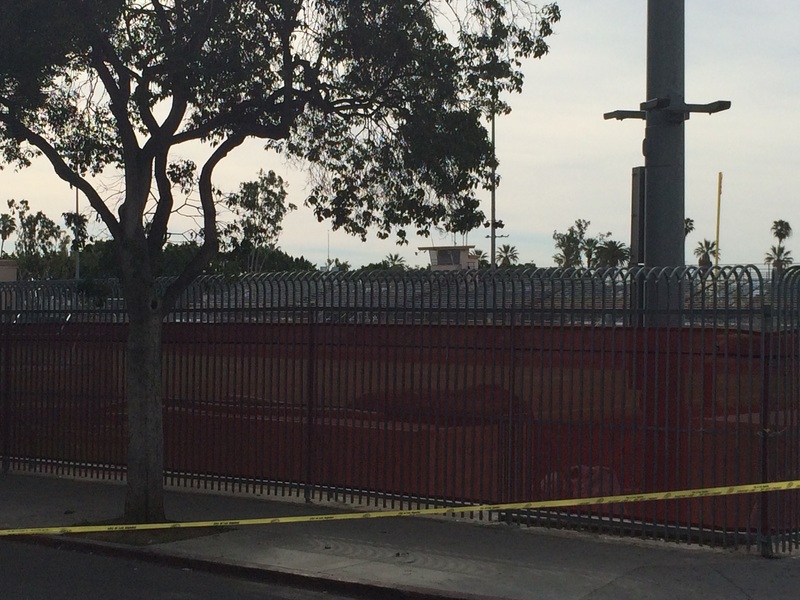 Supposedly, they used Hollywood High as Rydell High School in the movie Grease. 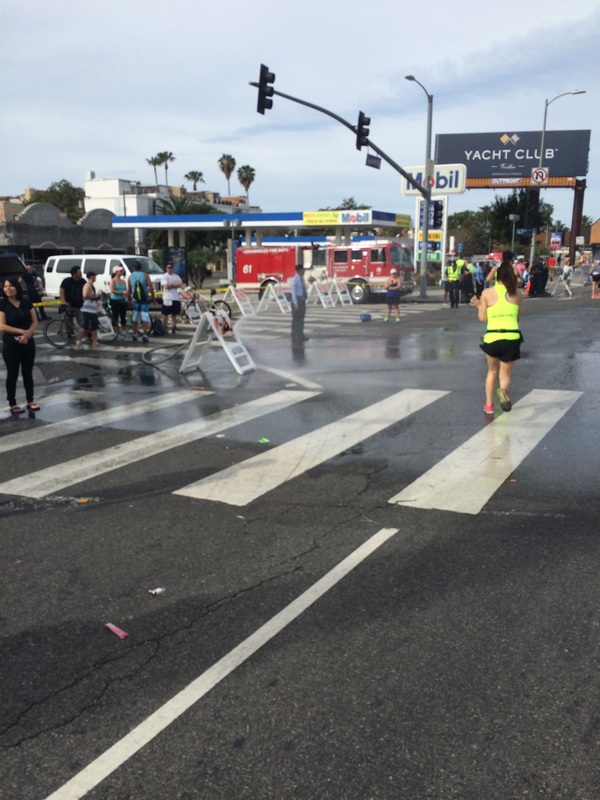 Once on Sunset, I finally started seeing scenes like this one….apparently the “mist machines” the LA Marathon organizers talked about were actually fire hydrants. The fire hydrants did get the ground pretty wet. I steered clear of this one, but would be grateful later in the race. Right around the mid way point, we came to this. 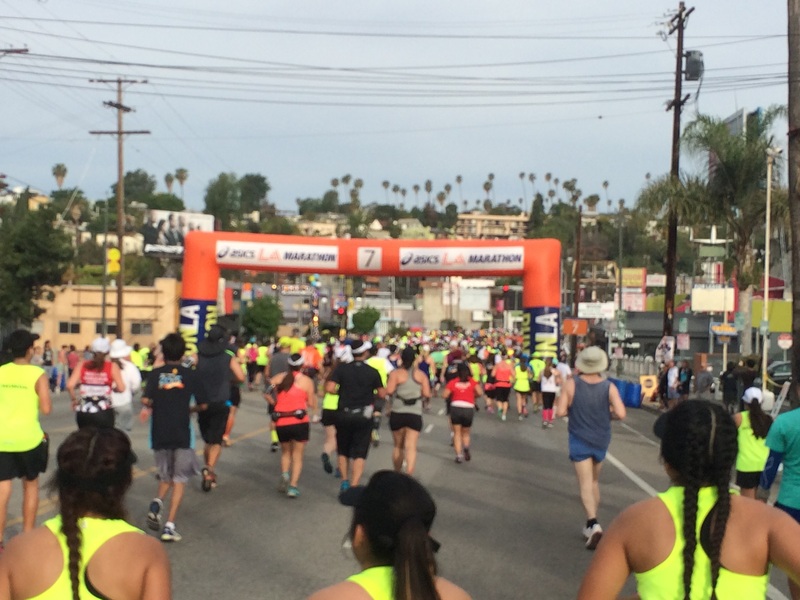 There is a relay race for the LA Marathon where you can, in a team, run half the race and have another part of your team run the second half. As I was getting closer to this point (before I saw it), I was seeing runners with finisher medals walking back on the race course. 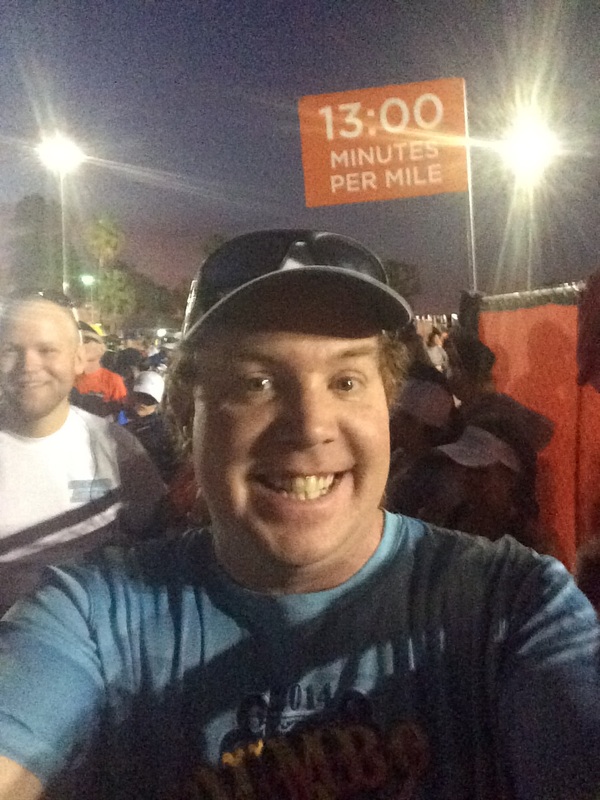 Since we hadn’t crossed the 13 mile marker, I was thinking…Wow those guys are fast! Then, when we got to the relay zone, I realized they were done with the first half and someone else was running the second half. As I walked by and took this picture, I couldn’t help but think about how cruel it is to see the word “finish” at the half way point. However, I was actually doing okay with my energy at this point. So, it wasn’t that cruel. I’m going to end part 1 at the mid way point. 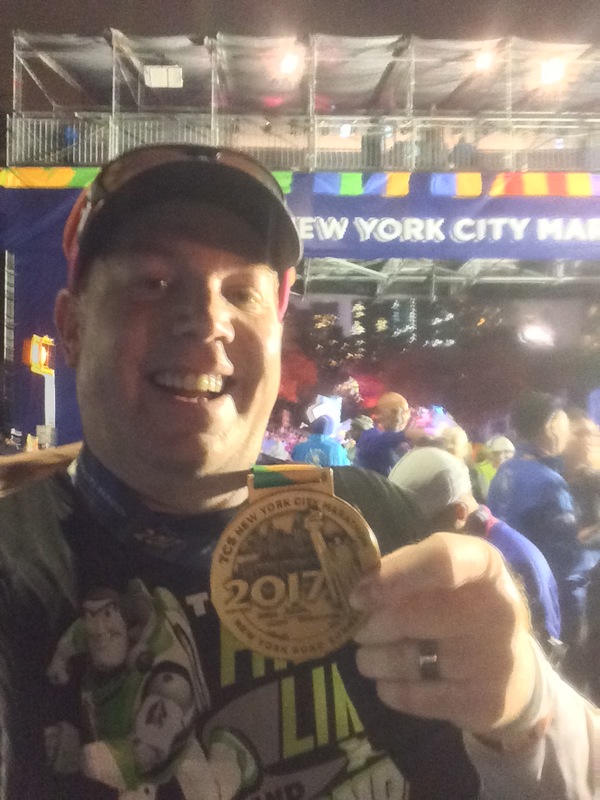 My thoughts about the first half of the course is that it was a really fun first half! 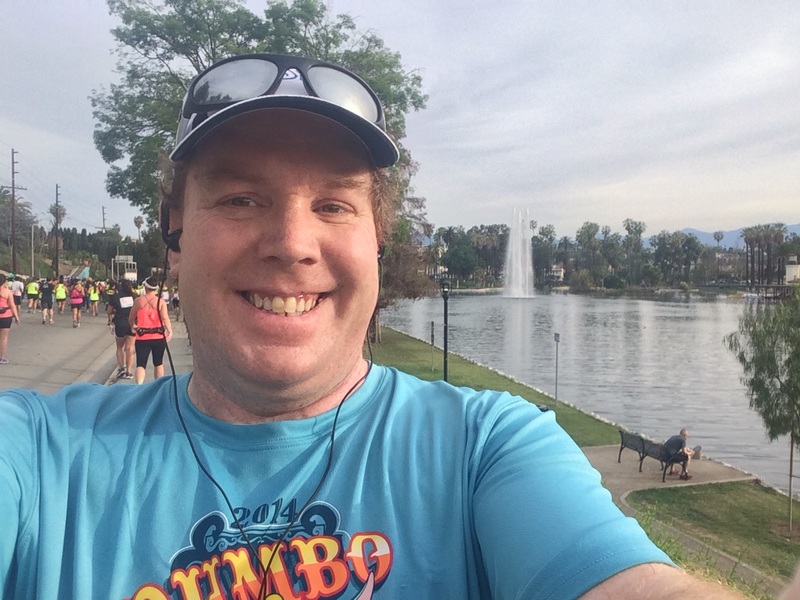 I had tons of fun running through Hollywood and by Echo Lake. The temps for this first half were actually pretty reasonable. There was a slight cloud cover to help us out. I was running my run/walk intervals when the course was flat and downhill, I walked up the hills to conserve energy. There was plenty of water and Gatorade at the water stations. So, that worry was non-existent. The crowd support was amazing! Tune back in tomorrow for the conclusion! great photos! even with all of the heat that came later, i really did enjoy the beginning of the race. I love running by all of the landmarks. Thanks! 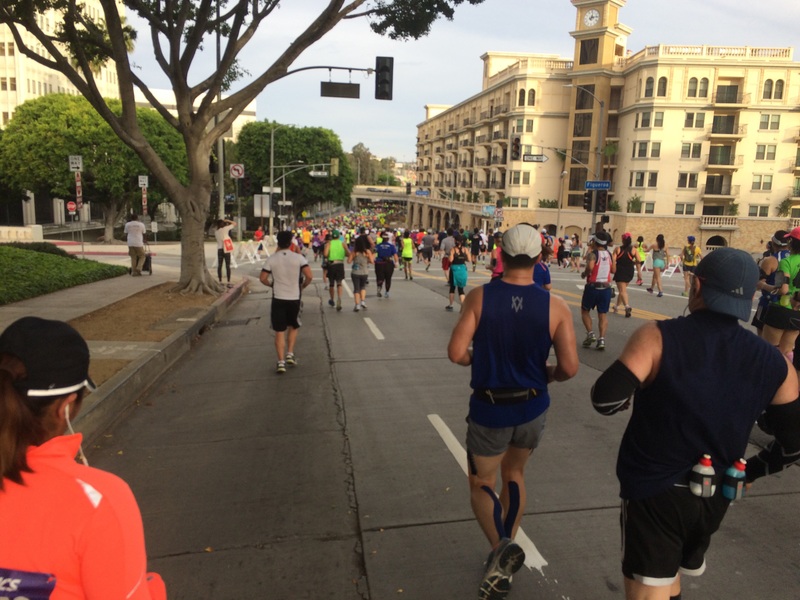 With the heat and knowing a marathon PR wasn’t going to happen before the race, it changed my whole approach. Getting pictures made the miles go by much quicker.